Tired of crappy accommodations and impersonal hotels? 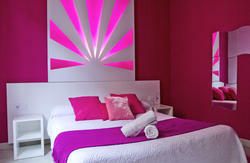 Come stay in our backpacker ´s hostel and enjoy a new concept of lodging. 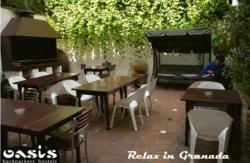 This charming historic mansion is located in the oldest and most attractive neighborhood of Granada, the Albaicin. Moroccan markets, sunny plazas, amazing viewpoints ... Come and discover the perfect mix of classic Moorish architecture with a unique touch of character; find yourself in a relaxing and informal atmosphere, perfect for independent travelers. 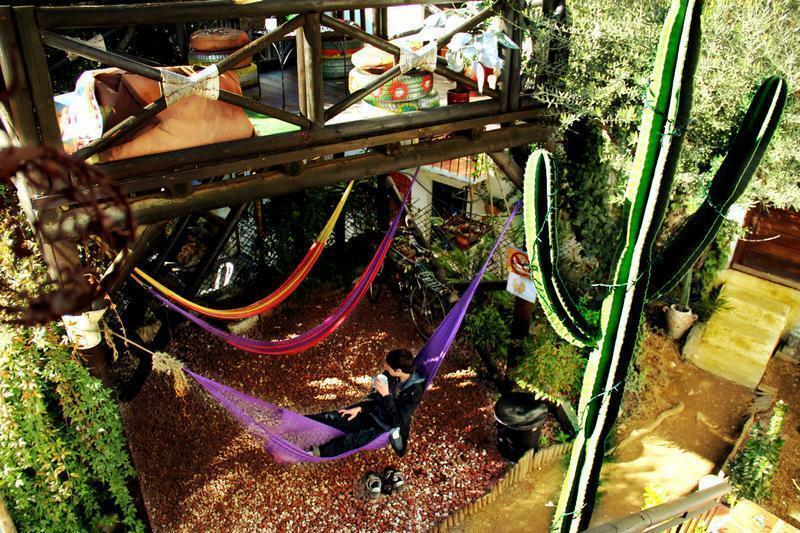 A unique small hostel with lots of common areas (Hammocks, Chill Out, Patio, Bar, BBQ and even a Tree House) where you have the space to do your own thing and meet other travelers but where there is always someone at hand to answer your questions and offer best tips for you to experience the life of Granada outside of the typical 'tourist attractions'. Feel free to leave your bags with us for the day once you checked out and keep on using all Makuto facilities when your transport leaves later in the afternoon. Come, stay with us and be part of our backpacker's family. Turn your trip into an unforgettable experience. 1) Get down in Gran Via - exit at Cathedral stop. From here you may walk. When leaving the bus cross Gran Via and take the street Carcel Baja, that departs from La Caixa Bank, cross Calle Elvira and keep walking towards the street Caldereria Nueva (Arab shops) - Cuesta de San Gregorio. Keep on walking up until you pass a local bar named '4 gatos' (four cats), keep on two more minutes until you reach an impressive Moorish orange house called 'Carmen de la Media Luna'. Important: Turn here left by Muladar de Dona Sancha and take the first right that isTina (Makuto is the number 18). If you come with heavy luggage, we recommend you come by taxi or minibus since the streets are cobbled stones. 2) By minibus: Get down in Gran Via with Avenida de Constitucion (you will see a big spanish flag), take minibus 31, towards Albaicin, stop at Santa Isabel la Real Monastery. On Saturday and Sundays minibus changes its route, you should take it in front, in the opposite direction, to Albaicin and stop at Santa Isabel la Real Monastery. Makuto is 50 m down from the monastery. From the airport: Take the airport bus to Granada and get off at the end of at Avenida Constitucion with Gran Via (estimated time: 25 min.). You will see a big Spanish flag in the middle of a square there. 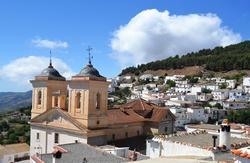 take minibus 31, towards Albaicin, stop at Santa Isabel la Real Monastery. On Saturday and Sundays minibus changes its route, you should take it in front, in the opposite direction, to Albaicin and stop at Santa Isabel la Real Monastery. Makuto is 50 m down from the monastery. direction of Albaicin-Carretera de Murcia. The district of the Albaicin is protected by the UNESCO and the access by car is restricted. You should know that to get into the Calle Pages, you have to do it from 8-11am or 2-8pm. Otherwise the entrance is restricted to residents only. There is no time limit to exit the old district.